Today I was reminded that quiet time alone is not a luxury for me. It is a necessity. It pulls me back to center when my mind and body pull me toward frenetic activity and flurries of thought. My mind never stops. I’m not exaggerating. Never. If my mind were a book, it would be If You Give a Moose a Muffin. I exhaust myself. When I float, my mind stops. I’m able to get some internal peace and quiet. I floated again today, my third time since last summer. I actually fell asleep — yes, asleep while floating on a bed of saltwater! I didn’t wake up until the mysterious piped in music began playing in my sensory deprivation tank. 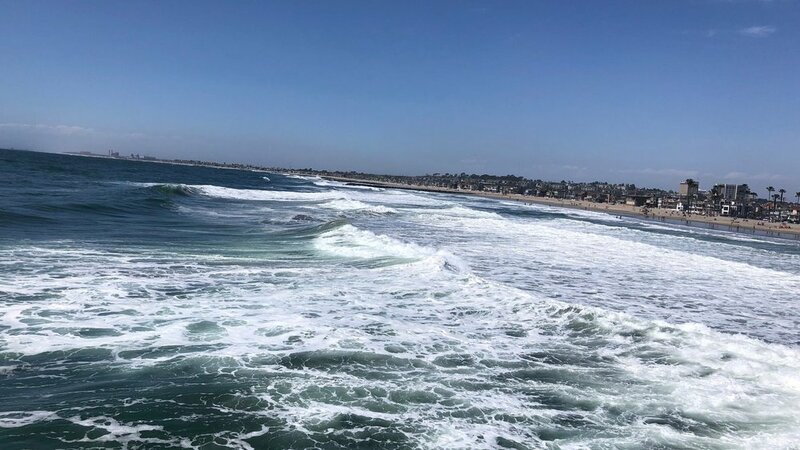 My sense of calm followed me to Newport Beach where I sat with my journal in the warm sand and let my feelings and thoughts flow onto the page. Other than in people, the place I encounter God most powerfully is in nature. Watching the waves roll out and crash back into the shore on the perimeter of an endless shimmering horizon reminds me that God is bigger. Bigger than my pain, bigger than loss, bigger than my abilities to cope in my own strength. He is bigger. Immense, vast, immeasurable, uncontainable. Like the ocean stretching out before me. And yet, He becomes small enough to meet me in my little place. In my tiny corner of the planet. In my pain. In my tears. I walked away from the silence of my saline sleep chamber and the reflectiveness of my warm spot on the beach with a hunch that if I lean into quiet spaces, God is going to do some important things in my heart in these next nine months — my year of firsts.